Now that nominations are closed, Chief of Staff Gen. Mark Welsh III is expected to consider up to 20 candidates to become the next chief master sergeant of the Air Force. You can read more about who the likely contenders are to replace current Chief Master Sergeant of the Air Force James Roy after he retires in January and what it takes to become the Air Force’s senior enlisted leader. 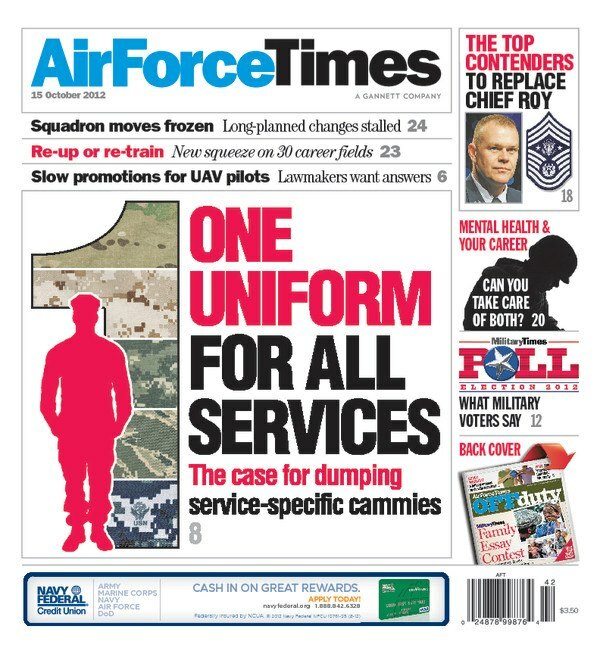 Also in this week’s edition, airmen are encouraged to seek mental help when they need it, but that can have lasting effects on an airman’s career. Mental health providers may recommend not giving airmen security clearances and they have a duty to report information to commanders that could affect the mission, an official told Air Force Times. In other news, the Air Force has nearly doubled the list of career fields that limit the number of first-term airmen who can reenlist. A complete list of which career fields are affected is in the paper. And the temporary measure that is keeping the government funded in lieu of a budget is also preventing the Air Force from moving and divesting aircraft. It is unclear how thousands of airmen will be affected – and for how long.